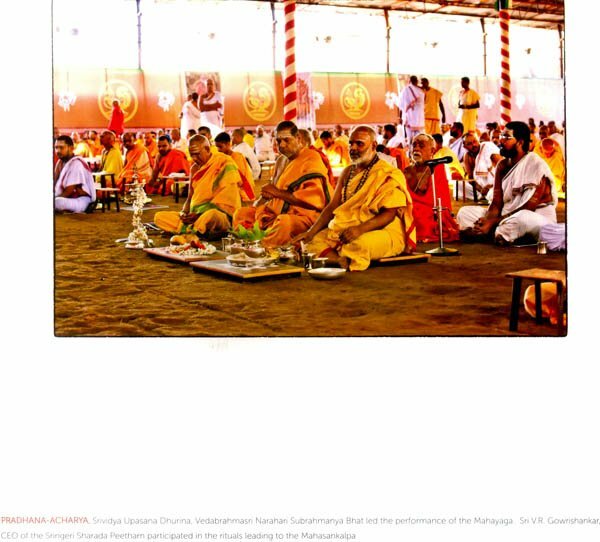 I Feel Honoured to write a foreword to this compilation of beautiful photograph taken on the occasion of the celebrations of the 61st Vardhanti of His Holiness Bharati Tirtha Mahaswamiji. Jagadguru of the Dakshinamnaya Sri Sharada Peetham. Sringeri. This Photo Book not only captures the pleasant memories of the momentous occasion, but also records for posterity several important events that took place, which represent the high points of our great cultural heritage. My Best Wishes and congratulations to Mr. Gowrishankar, the able administrator of the Sringeri Math, on bringing out this colourful book capturing moments of history. May The Divine Grace of Sharadamba, Chandramoulishwara, Ratnagarabha Ganapathy and the anugraha of the Jagadguru always enrich the lives of all the bhaktas perusing this photo book.